Alex Cepeda Ramos - My trip diary. 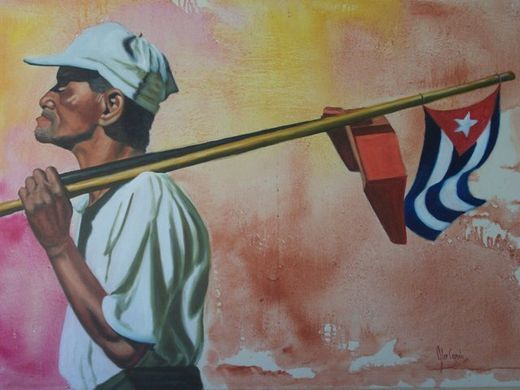 In 2011 my friend Bernard and I drove to Montreal to board a flight to Cuba; as Mexican and French nationals we were legally en route to the isolated island I dreamed of visiting for as long as I can recall. We landed in Varadero, Cuba's version of Cancun. We hung out at the beach drank mojitos and prepared for our 10-day road trip. Our first stop was Santa Clara to visit friends and the resting place of 'El Comandante Che Guevara' (see pic to the right). The tomb inside is remarcable, very well kept and quite expensive looking for a country where most people struggle with very little. We arrived in Trinidad mid-way through our trip. This city is golden in every way. The way in which the sun hits the buildings and the cobble stone streets is shimmiering and exudes every shade of gold. We met Alex on the second day as we explored the town and shopped around for trinkets. 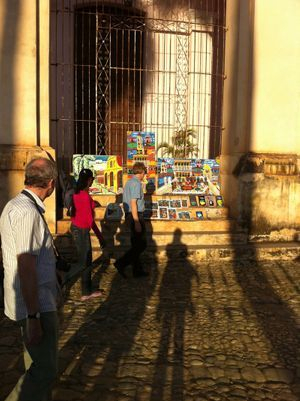 Artists line the streets and tourists look in awe at the colorful canvasas leaned up against buildings and window sills. Bernard collects art and was on the hunt as I slipped into a bookstore. The books consisted mostly of academic texts and Martí tomes in paperback. I bought a collection of childrens poems by Martí and a novel. This piece hangs in my friend's beautiful apartment. Varadero Varadero is a resort town in the province of Matanzas, Cuba, and one of the largest resort areas in the Caribbean. It's remarkablly beautiful, with crystal clear blue water and powder white beaches. It's populated with high-end restorts and restaruants, mostly from Spanish investors. 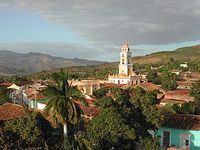 Trinidad is a town in the province of Sancti Spíritus, central Cuba. 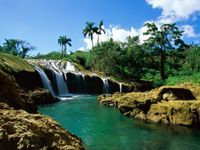 Together with the nearby Valle de los Ingenios, it has been one of UNESCOs World Heritage sites since 1988. El Nicho waterfalls, Sierra de Trinidad. 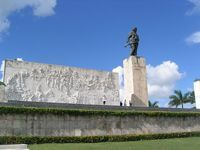 Che Guevara's resting place in Santa Clara.